"Enjoyed some drinks on the porch at night then breakfast on..."
Have a question for Ecran Pension? "A very nice pension with a great host!" "Extremely nice environment and clean room." "The staff was extremely friendly, ensure that we are well taken care of despite arriving late at almost midnight." 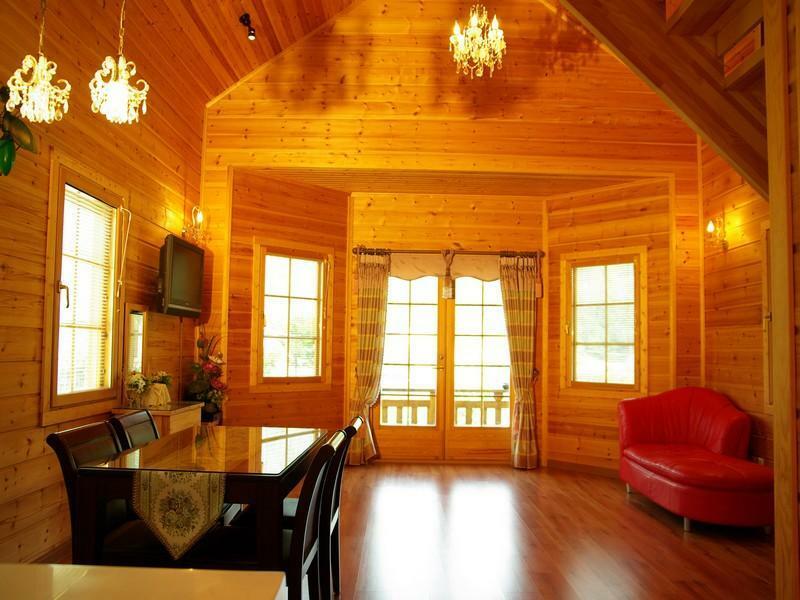 "We were overwhelmed with the beautiful and very clean place,..."
Ideal for fun and relaxation, Ecran Pension is located in the Gapyeong-eup area of Gapyeong-gun. From here, guests can enjoy easy access to all that the lively city has to offer. With its convenient location, the hotel offers easy access to the city's must-see destinations. 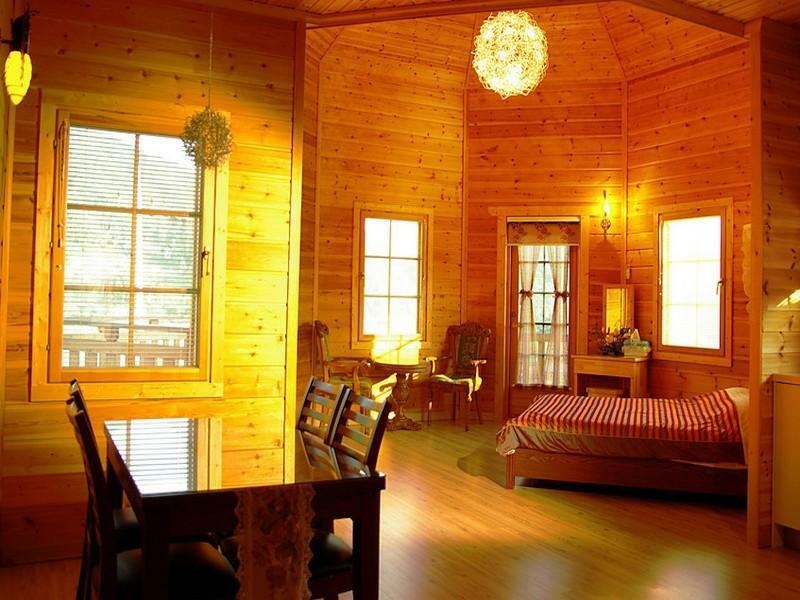 Take advantage of a wealth of unrivaled services and amenities at this Gapyeong-gun hotel. Free Wi-Fi in all rooms, express check-in/check-out, luggage storage, Wi-Fi in public areas, car park are just a few of the facilities that set Ecran Pension apart from other hotels in the city. All guest accommodations feature thoughtful amenities to ensure an unparalleled sense of comfort. The hotel's recreational facilities, which include water sports (non-motorized) are designed for escape and relaxation. Superb facilities and an excellent location make the Ecran Pension the perfect base from which to enjoy your stay in Gapyeong-gun. 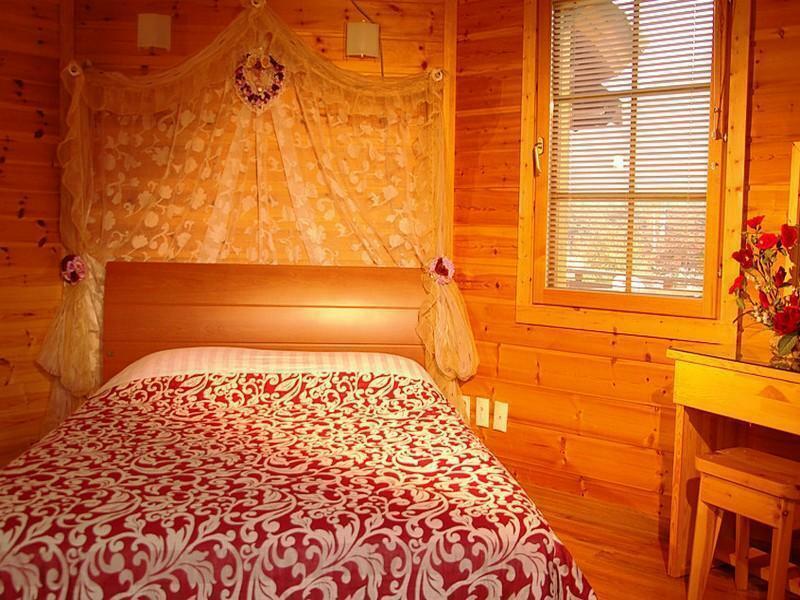 "We enjoyed the nice cabin and surroundings which made us fee..."
You may get there by driving only. The bus frequency is not much. Nice environment and room. The host can communicate in English. Can have BBQ dinner in garden. Extremely nice environment and clean room. The staff was extremely friendly, ensure that we are well taken care of despite arriving late at almost midnight. My daughter and I had a great 2 nights stay. Mr. Kim was exceptionally kind and accommodating to our needs even late in the evening. We enjoyed the nice cabin and surroundings which made us feel we are in Europe! I love this place. It is beautiful, clean and quiet. A very nice place to relax and take a moment with family. Plus the owner is very nice and helpful. we were overwhelmed with the beautiful and very clean place, lovely scenery overlooking the lake and facilities catered to minute details for comfort in heating and hot shower. Location was 2 minutes walk from Gapyeong city tour stop. The host, Mr Lee spoke English and was very kind and helpful to take us in his car from our bus stop and went at length to drive us to the Muslim friendly restaurant at Nami Wharf. He also gave us the best routes to our destination and places to visit. Highly recommended place to stay for couple and family and i will definitely come back to this place again. I would say Korean hospitality is exceptional! The house is very nice, clean and comfortable. The house was nicely designed and made of wood. The view from the balcony (mountain and river) was wonderful too. The owner was very kind and helpful. He showed us how to go to popular places in that area by bus. He even drove us to the nearby mini mart and even sent us to Nami Island's bus stop by his car. He also showed us a nearby Korean BBQ Chicken restaurant there. Lastly, he also drove us to Gapyeong Station to catch our train to Myeongdong. He even helped us to buy the train ticket since we don't understand Korean. A very nice pension with a great host! The host helped with the itinerary and drove us out to the station. A great man with great hospitality. The view was splendid during the winter which made the pension looked like it popped out from fairytale. Highly recommend! Owner was kind enough to let couple to have a simple wedding proposal and also personal pre wedding shooting at the beautiful pension. Beautiful surrounding, white frozen river during winter, nice building (exterior and interior), nice and friendly owner. Beautiful and comfort room. I like the designs of the room in Europe style. The most comfort place during my trip to Korea. The owner really kind and helpful. Thank you Ecran Pension! The staff is good and nice. The facilities is good. They provided pick and drop service. They treat us friendly and give a guide tour. Nice viewing and side seeing. This is first time I go to korea without any travel agent (and have little knowledge about korean language too), so I go to gapyeong to go to nami island, petite france, and morning calm garden, and we stay at ecran pension. This pension is really clean, their toilet is high quality too, they have balcony and we have really nice scenery from it. and one think that really amaze me, the owner really helpful, he gave us sugestion about how we can get to all place that we want to visit in gapyeong. The other think is he know that we will go to another city (far away from gapyeong) and he do research and give us the easiest way to go there, and take us to the bus station, and guide me to buy the ticket, and take care of us to make sure we go with the right bus. (and wow this is cheaper and easier than my initial plan) For value for money, location, cleanliness I think it is right to give 5 stars (maximum stars). But for staff I want give him 6 or even 7 stars. 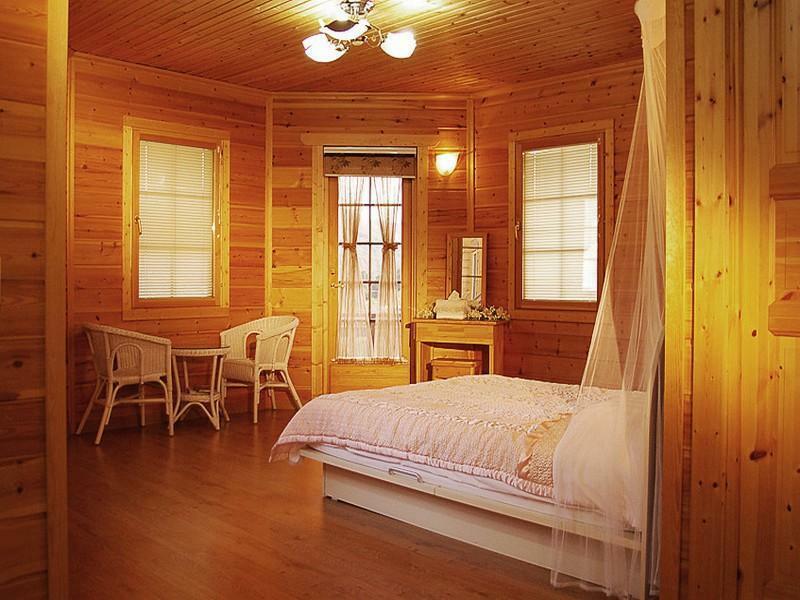 I will definitely stay in this pension everytime I go to gapyeong. Ecran pension is lovely place to stay, and the owner is very kind and helpful. The location is also great - it's a 5 minute walk to the bus stop where you can take the tour bus to all the famous locations in the area. Highly recommended.